Derived from the Spanish verb ‘vivir’ meaning ‘to live’, ‘VIVA!’ is a celebration of life in all its brilliant colours. 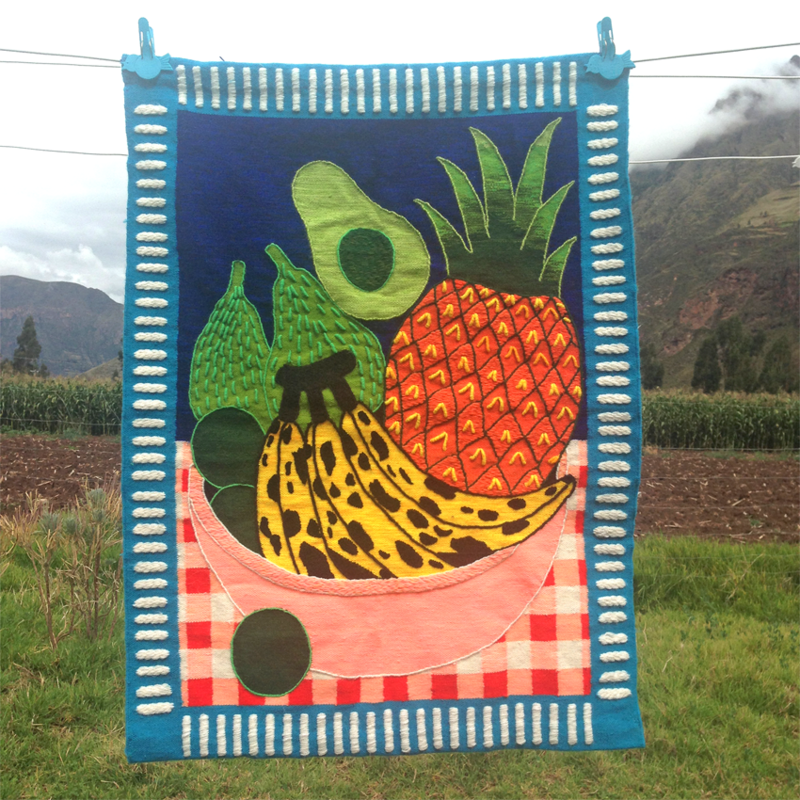 Nathalia’s debut solo exhibition is a vibrant and diverse body of work, the product of a year spent living and travelling throughout South America. ‘VIVA!’ reflects the festivity of Latino culture and indigenous traditions while in turn chartering Nathalia’s personally insightful and meditative experiences throughout her time there. 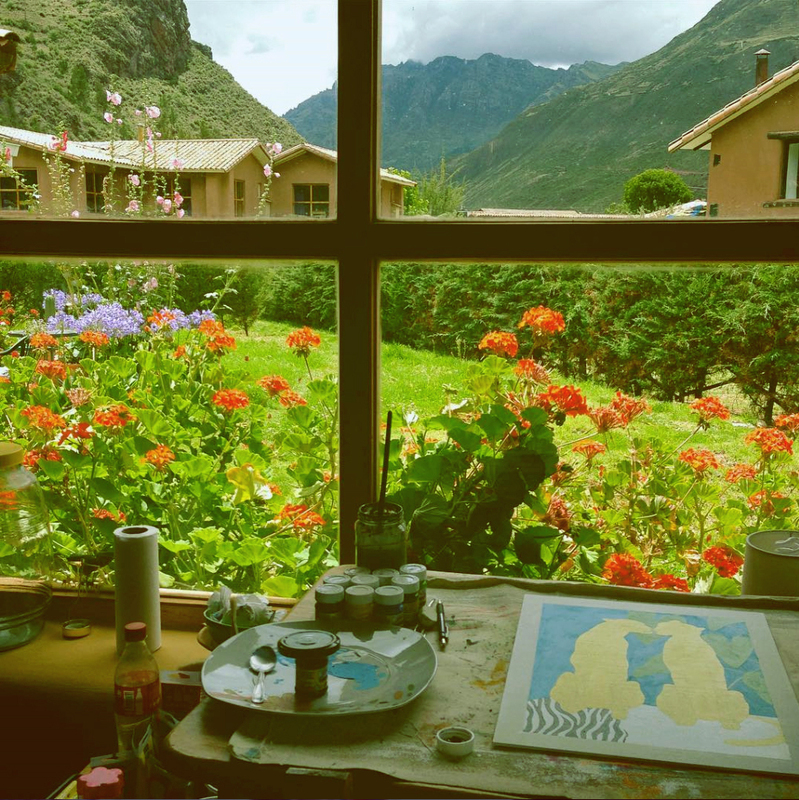 Nathalia spent six months living in a remote town in the Peruvian Andes called Pisac, a period that proved hugely influential and cathartic to her creative process. Nathalia and her partner lived in a quaint mudbrick cottage, nestled amongst the Sacred Valley Mountains where she spent time with a local Shaman under medicine retreat settings, experiencing traditional spiritual plant ceremonies. Described as “mind blowing psychedelic visions and life changing epiphanies” Nathalia credits this as “the most rewarding experience” she’s had and “one which has perpetuated a lot of positive shifts” in her life. As a means to process her experiences in Pisac Nathalia painted frequently, and in turn found a sense of creative freedom and clarity explaining that her “process now is largely focused on play - the magic of being spontaneous, present and not caught up in overthinking.” Through her process she feels a deep mystical connection and is delighted to share the beauty, wisdom and generosity she experiences through her artwork. Her vibrant range of works throughout ‘VIVA!’ are a manifestation of her experiences and realisations throughout her travels, reaching a significant point in her practice as a creative. 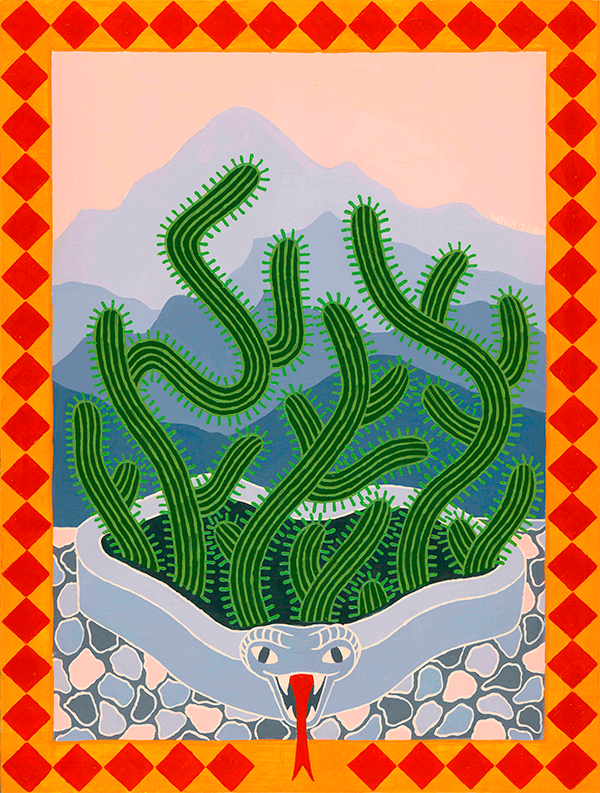 The picturesque landscapes of her exotic surroundings, the vibrant colours, designs and mythologies of the Peruvian folk art and the psychedelic imagery and wisdom arisen from the traditional plant ceremonies have equally informed the lively and symbolic depictions throughout the exhibition. While painting was Nathalia’s immediate point of exploration, ‘VIVA!’ showcases a range of mediums such as mosaic and textile art, these methods of production nods to South American craftsmanship and joyful souvenirs of Nathalia’s time spent there. In South America, Nathalia worked alongside a local weaver, Raul who translated her paintings into tapestries. Raul’s family has a long ancestral history in textile craft and lives some 600km away in a remote village in Ayacucho. 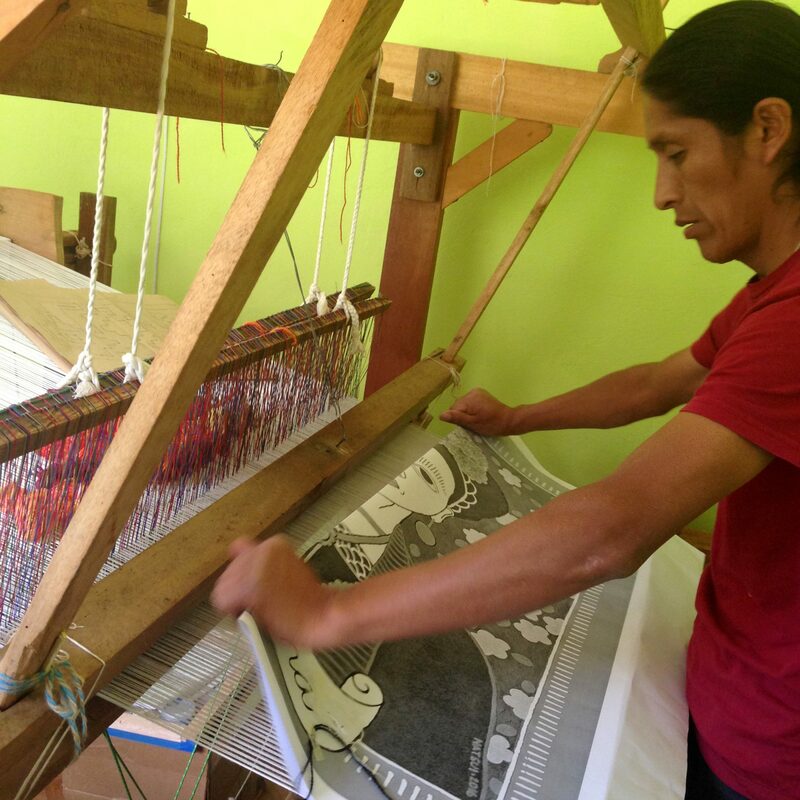 While Nathalia was able to communicate her ideas to Raul in Spanish, he reproduced her images on an enormous self-built loom. From here they were taken far away to Ayacucho where Raul’s family hand wove and embroidered the works from alpaca/baby alpaca wools using traditional Andean techniques. Nathalia admits this part of the process was most difficult as communications between her and Raul virtually ceased on account of his family’s remote village location, however, the final results of her converted paintings left Nathalia completely in awe of their craftsmanship and intricate attention to detail. These tapestries are a significant contribution to the collection of works in ‘VIVA!’, a quintessential Peruvian imprint on the show. VIVA! is showing at Enough Space, Prahan from April 5th-22nd. 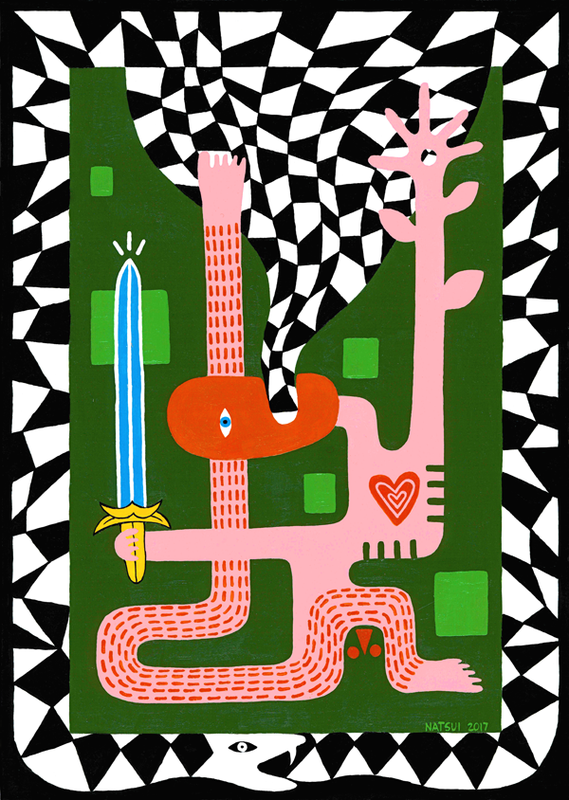 Opening Party Thu, 5th April 6-9pm.